Because the Marine Corp stands to have so much liability for it’s negligence in this case, they’ve done everything they could to stonewall these studies and to make it difficult for victims to prove that they were poisoned there. Mike Magner, author of A Trust Betrayed: The Untold Story of Camp Lejeune and the Poisoning of Generations of Marines and Their Families. Ask them if they would be willing to introduce a bill that would compensate these Marines and their families for the pain and suffering they have endured through the negligence of the Marine Corps at Camp Lejeune. 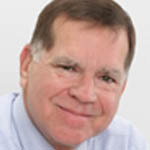 Mike Magner has been a journalist for nearly four decades. He is currently managing editor at CQ Magazine, which covers the goings on in the U.S. Congress. He is the author of Poisoned Legacy: The Human Cost of BP’s Rise to Power, which chronicles the story behind the BP Deepwater Horizon explosion and subsequent oil spill in the Gulf of Mexico, which was not the first time BP’s negligence resulted in human disaster. His latest book also deals with environmental negligence, but this time the villain is not a corporation. It’s the U.S. Marine Corps. And it’s entitled A Trust Betrayed: The Untold Story of Camp Lejeune and the Poisoning of Generations of Marines and Their Families. 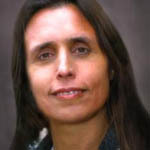 Winona LaDuke is an internationally renowned activist, working on issues of sustainable development, renewable energy and food systems. Ms. LaDuke lives and works on the White Earth reservation in Minnesota. And in 1996 and 2000 she ran for vice president as the nominee of the Green Party with our very own Ralph Nader. As program director of the organization “Honor the Earth,” she works on issues of climate change, renewable energy and environmental justice with indigenous communities. When last we spoke in April of this year, spearheaded the effort that stopped the oil company Enbridge from building the Sandpiper pipeline through native lands in northern Minnesota. Most recently, she joined the battle at Standing Rock in North Dakota against the pipeline that was being built by Energy Transfer Partners, which the Army Corps of Engineers just refused to permit. Ralph, you and most of my fellow Greens are always talking about instant-runoff voting as an alternative to first-past-the-post voting. But are you aware that instant-runoff voting often creates scenarios wherein the act of someone voting honestly for their preferred choice actually CAUSES THAT CHOICE TO LOSE? That’s right: a voter’s preferred candidate loses, but would have WON if that voter had abstained from voting or tactically voted for what they didn’t really want. It sure sounds counterintuitive, but this is a real outcome from how instant runoffs work. In fact, in situations where the IRV and plain-plurality winner differ it’s been estimated that this arises a full 50% of the time. Why does it seem like so few people are aware of this critical problem with IRV and the superiority of other alternative voting schemes? It is very frustrating to see people continue to advocate for IRV when these situations actually happen in real life. A case study is the Burlington, Vermont 2009 mayoral election in which a host of unsatisfying results for the voters caused them to repeal IRV and revert to a plurality system the next year. What will people do when this happens in a gubernatorial or presidential race? Will they ever be willing to try one of the complicated alternatives to FPtP again? Have you ever looked into so-called Range or Score Voting? I strongly encourage you to, if you haven’t. IRV is far from the panacea for third parties’ plight that it’s made out to be, and there are some quite superior alternatives such as range voting and approval voting that shouldn’t be discarded simply because IRV “has the momentum” now. IRV is better than FPtP in some ways but not in enough that seriously threaten two-party dominance.